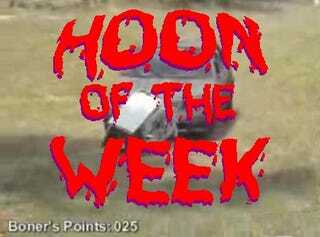 Who's the Hoon of the Week? You Decide! Who&apos;s the Hoon of the Week? You Decide! Hey, Do You Smell Gas? So cast your votes early and often. May the best hoon win! New T-Shirt! Are You The Next Hoon Of The Day?